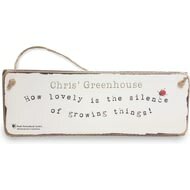 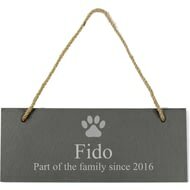 Personalise this green hanging gardening sign with any name or names up to 25 characters. 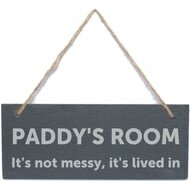 Please note 'Garden' is fixed text. 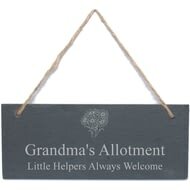 This hanging sign is a brilliant gift for any gardener. 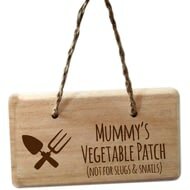 Personalise with any name of up to 15 characters above the fixed text 'Vegetable Patch ( Not For Slugs & Snails). 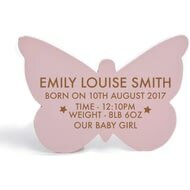 This pink car hanging plaque is the perfect gift to celebrate a little ones christening. 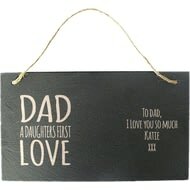 Simply add their name of up to 20 characters and the special date of up to 20 characters. 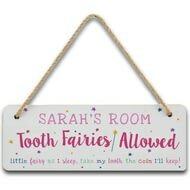 This personalised tooth fairy hanging wooden door sign measures 10cm tall, 28cm wide and 0.5cm deep.